As the pundit begins a series of national debates this week—including an event with Bill Maher last night—Meghan McCain says that having her as the face of the Republican Party is a recipe for disaster. It is no secret that being a Republican isn’t the most hip political stance a person can take right now. President Obama has successfully established himself as the hippest politician around. You know you’re big when Katy Perry wears a dress with your face on it to host the MTV Europe Music Awards. To my fellow Republicans: I’m sorry, I wish I could be more positive about the current “hipness” of our party. But being a Republican is about as edgy as Donny Osmond. Granted, being “hip” is not a reason to join a political party, or a reason to agree with its ideals. But it is a way to get the attention of a generation—or, more specifically, my generation. What was she thinking when she said Hillary Clinton was more conservative than my father during the last election? To make matters worse, certain individuals continue to perpetuate negative stereotypes about Republicans. Especially Republican women. Who do I feel is the biggest culprit? Ann Coulter. I straight up don’t understand this woman or her popularity. I find her offensive, radical, insulting, and confusing all at the same time. But no matter how much you or I disagree with her, the cult that follows Coulter cannot be denied. She is a New York Times best-selling author and one of the most notable female members of the Republican Party. She was one of the headliners at the recent CPAC conference (but when your competition is a teenager who has a dream about the Republican Party and Stephen Baldwin, it’s not really saying that much). 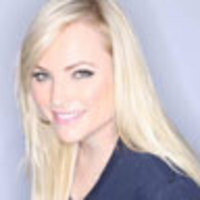 Meghan McCain is originally from Phoenix, Arizona. She graduated from Columbia University in 2007. She previously wrote for Newsweek magazine and created the website mccainblogette.com.